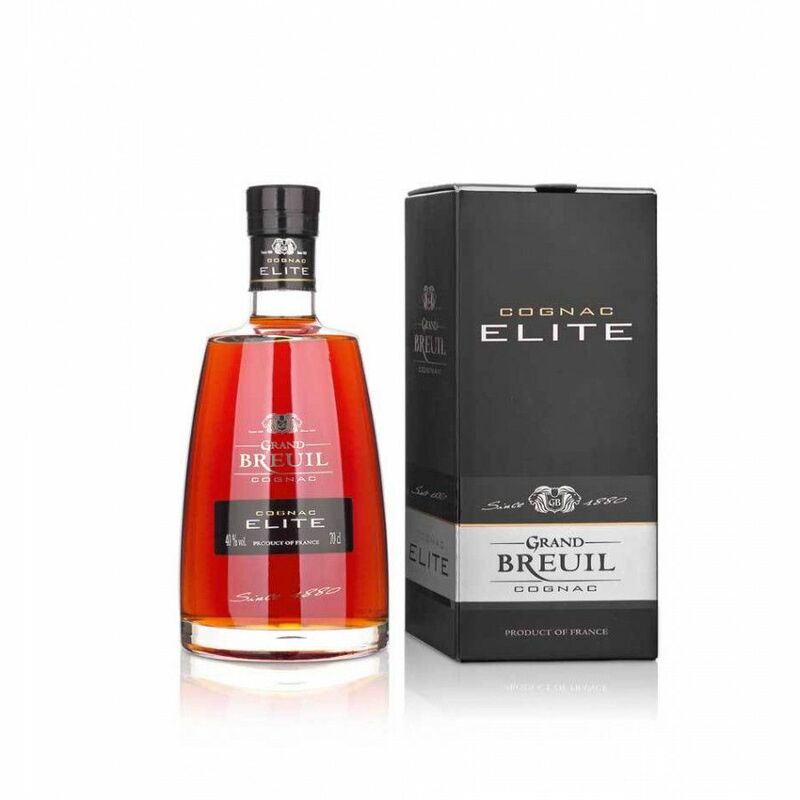 The Grand Breuil Elite Cognac is a delighfully versatile Cognac that embodies all that's great about eaux-de-vie in the 21st century. Created by the wealth of knowledge and experience of the Tessendier brothers (Jerome and Lilian), this combines both modern style with true quality and tradition. A blend of Grande Champagne, Petite Champagne, with a touch of Fins Bois eaux-de-vie, Grand Breuil Elite represents great value for money and is a wonderfully versatile Cognac to own. It's certainly a Cognac that can be enjoyed neat - providing delicate aromas of floral fragances, cinnamon, and prunes. The more adventurous might like to try it 'on the rocks', releasing further subtle aroma and flavor changes that the more sophisticated palate will enjoy discovering.